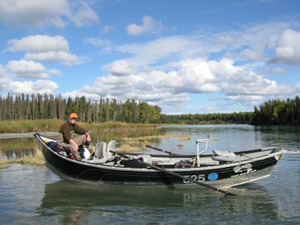 Silent run offers 21 ft custom built fish rite drift boats with custom seat configurations and fly fishing stations front and back and all of our Drift boats have built in heater, plenty of dry storage and very comfortable seating. Top quality fly fishing gear from SAGE, SIMMS, ROSS REELS, RIO LINES AND LEADERS. Knowledgeable and friendly guide who is First aid and CPR certified. Snacks, Soda, bottled water and coffee. It is your responsibility to inform your guide about any health conditions or concerns you may have prior to your trip.